Many critics have already dismissed the draft recovery plan as a ‘done deal’, or just another election gimmick while others have claimed the public consultation is only happening to satisfy the United Kingdom’s requirements for loan guarantees. The ruling National Democratic Party (NDP) does not have a history of public input towards public policies. 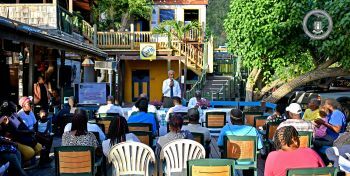 Last evening at Little Habour on Jost van Dyke (JvD), the Hurricanes Recovery Plan Chairman Broderick Penn was absent; however, Kedrick E. Malone, his stand in, along with Premier and Minister of Finance Dr The Honourable D. Orlando Smith (AL) gave their routine presentations. 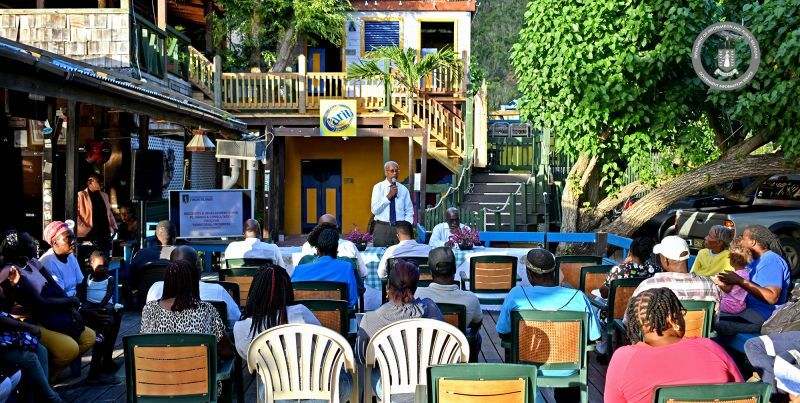 Thus far, all the meetings on the recovery plans have attracted small crowds with the one on JvD having about 20 to 25 residents, some whom travelled with the delegation from the main island of Tortola. The residents on JvD raised issues about the school and its relocation, health care and the need for a resident doctor, along with the public restrooms, which remain in a deplorable state while the Administration told the world we are open for business. 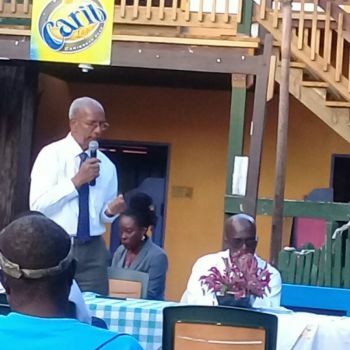 Like the other sister islands, JvD feels as if they are left behind, although their young and energetic District Representative Hon Melvin M. Turnbull (R2), who was at the meeting, continues to fight for their causes and needs. 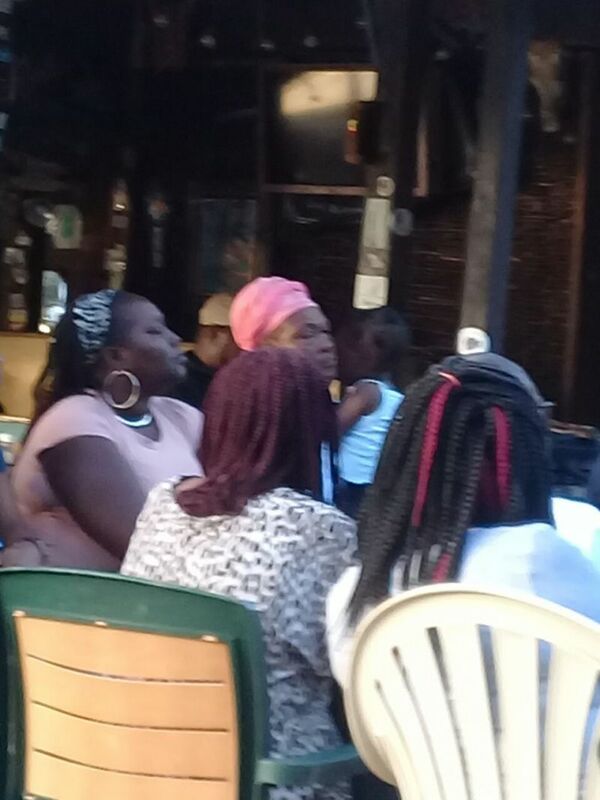 Also at the meeting last evening were other senior civil servants from the recovery secretariat and Health and Social Development Minister Hon Ronnie W. Skelton (AL) and Education and Culture Minister Hon Myron V. Walwyn (AL). The next meeting of the recovery plan consultations is scheduled for Monday February 5, 2018 at the Althea Scatliffe Primary School for District 5. Give us some shopping Vouchers for One Mart, and Bobbys spread the money around.. Help us all..
@ one eye:that’s all it is “road show”.. They need to look at immigration so they can stop the bothering people and employees who are trying to rebuild. No tolian wants the jobs. Leave my island frie ds alone who wants the jobs and willing to get there hands dirty. Not like the truckers who say they only drive and still collect big money. Craziness in this place!!!!!!!! Stop the tactics . its too late .. You gotta go !